The dictionary defines willpower as the strength of will to carry out one’s decisions, wishes, or plans. Also, the ability to control oneself and determine one’s actions; firmness of will. So what does that really mean? It means saying no to that 3rd piece of cake, saying no to that cookie, or saying yes to that new plan you’ve devised and sticking to it. Whatever it may be it’s following through no matter what your inner voice is saying. Willpower is one of those things that I feel I’m lacking. There is always something I’d rather be doing… and instead of the laundry I’m staring at the television watching something horrible AND eating that piece of cake. It’s the same issue that so many of us have at some point in our lives. But what if we could change that? What if we could work through some of our weaknesses and get control over those things? Stanford University psychologist Kelly McGonigal’s book The Willpower Instinct started as a course at Stanford Univeristy’s Continuing Studies program and illuminated why we give into temptation and how we can find the strength to resist it. The course became one of the most popular courses ever offered with corporate executives, teachers, moms, dads, their kids, and everyone in between attending. Out of that class came The Willpower Instinct book. When I heard there was a class all I could think about was how can I get into that class! Yea… yea… Stanford is a little far from Michigan for a weekly class. But the book…. well, the book is everything that the class is minus the great lectures. The book is broken down into 10 chapters, just like the class, each with two kinds of assignments to help you learn to become a “willpower scientist”. Actually, she says that you can just read the book through and then go back and read it again, taking your time and doing the tasks and implementing some of the strategies laid out. With reading a chapter a week and doing the assignments (making notes along the way) it should take you just under 3 months to complete the book… as it would the class. Each chapter describes one key idea to help you with what you want to overcome, the science behind that idea, and then how you can apply it. Sounds good right? What I like is the Kelly McGonigal uses science and her professional experience to reiterate the important aspects of willpower as well as bring counter-intuitive ideas about willpower. Is it worth the read… Sure is! Would I recommend it… Sure would! I think that no matter how strong you are and how much willpower you have this could lend a lot of insight into human behavior and how changes can be made that will affect you forever. 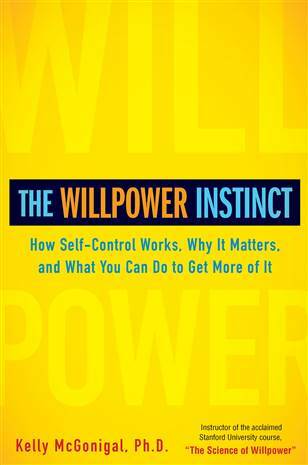 I’d love it if you could join us in the conversation about The Willpower Instinct on BlogHer. If you are interested in following Kelly on social media you can find her on Twitter and Facebook. AWESOME deal on skin care from DDF! When it comes to my skin I still haven’t found that one product that is perfect and my go to solution no matter what. I’ve tried various face washes, scrubs, lotions, and potions and still keep looking. 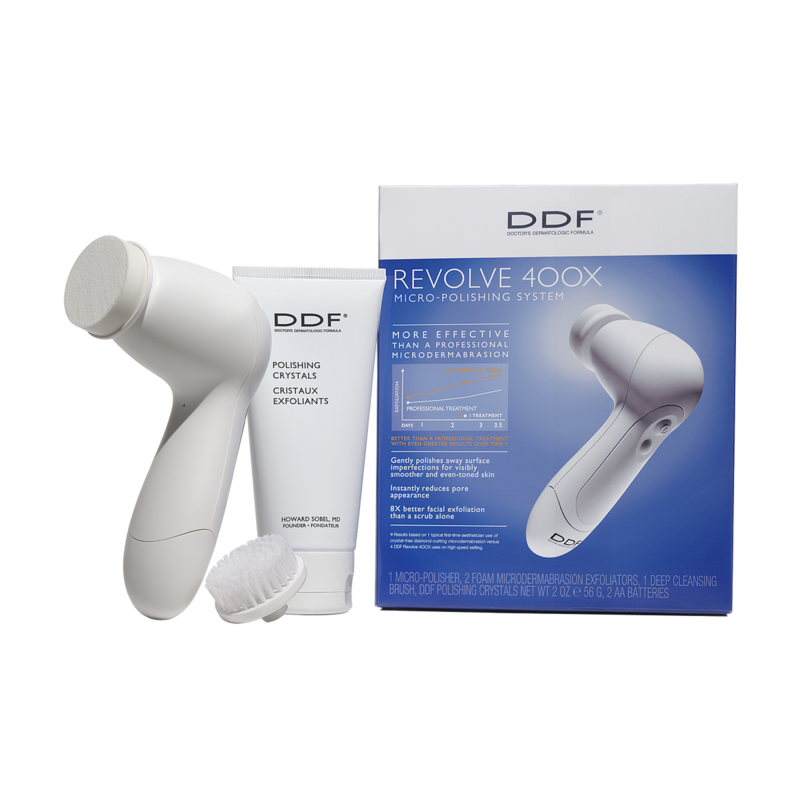 I will say that I’ve heard a lot about these microdermabrasion products lately and how great they are for your skin and the DDF Revolve 400X just might be the perfect thing for me. Oh… and it will fit nicely in my Christmas stocking…. hint! hint! Take a look at what it can do too! I’m all for improving my pore appearance. After having oily skin and pimples through my early teen years I am often looking for a way to help minimize my pores and keep those pesky wrinkles at bay. I have an awesome deal for you right now! You can get the Revolve 400x at $45 (retail price $98) and free shipping. Through Jan 31, 2013. Make sure to use the code DDFMICRODERMA. If you want to try our some of their skin care products if you buy 1 you can get the 2nd product half price and free shipping, through Jan 31, when you use the code 2013DDFSKIN. If you’re not sure which product is right for your skin you can use the online tool guide to help you determine your unique skin condition(s) and then they’re recommend the right products for you! Easy peasy! Have you tried a microdermabrasion product before? What do you think about it? Over the years I have tried almost every kind of mascara that I could find in the stores. I’ve even gone as far as getting one of the “high end” mascaras which was worse than any of the other ones I could get from the store! I’m not really picky either… I just want my lashes to look long and full with out lots of clumps. Is that to much to ask for? I like to play up my eyes because I think they’re my best feature! And eye makeup is pretty easy if you’re not doing something complicated! LOL! Mascara is something we can all do and do it right! So when Cover Girl’s Lash Blast came out I had to give it a try. I’ll admit that I liked it and that it did the job pretty well! I had full lashes that had this sort of sweeping look to them! Very movie star like without the addition of fake lashes or extra makeup. Of course like any mascara it only last so long and the brush gets clumpy and a bit dried up so I tossed it and went and got another one… Lash Blast again but a different variety this time. Why? Well because you never know which one is going to work the best! Do you want to give it a try? Come one… you can get 10% off all items now through August 31st and free shipping for orders over $25! There are lots of great Olympic-themed bundles and deals right now since P&G is a big Olympic sponsor this year. Oh… and you want to help me out with my gotta get to BlogHer fund for next year you MUST shop through the widget above for me to receive commission on your purchases. You can share this great deal with your family and friends too! Just send them over here to my post so they can click on the widget. I need to know!! What is your favorite mascara and why? Have you tried Lash Blast? So I pondered what to write about today and my mind was a total blank for some reason. Not a single idea…. not one. Then I went to Twitter for inspiration and there it was… BlogHer. So as you may or may not know right now one of the biggest and most talked about conferences of the entire year is happening as you read this. Oh… and I’m not there. Again. Maybe, just maybe one of these days I’ll figure out a way to get there. 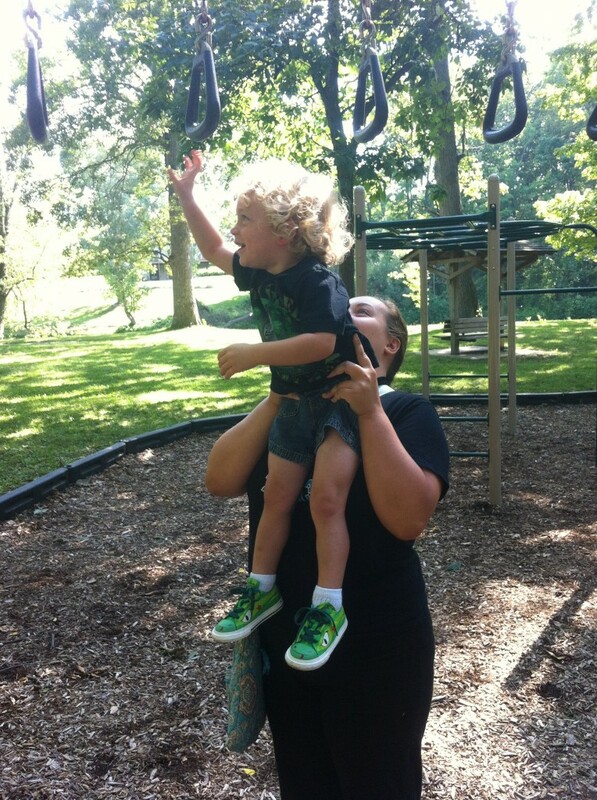 Instead I’ll be home this weekend minus the husband (another motorcycle trip) with the teen & toddler. I’ve decided to make a list of all the great things I’m going to be doing while everyone else is networking, meeting new people, and learning all sorts of awesome things. 1. Laundry. Yes, it is freakin’ exciting doing laundry. 2. 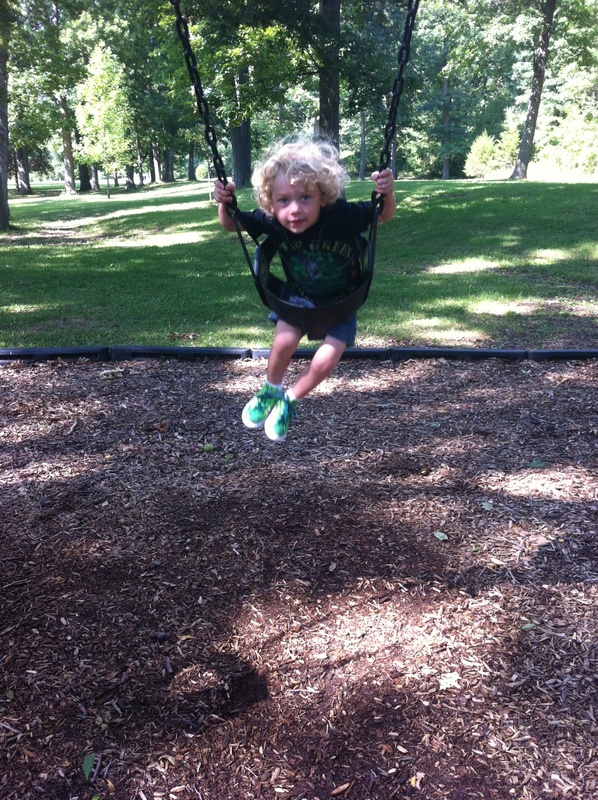 Chasing the toddler around the park on a sunny, 90 degree day. 3. Figuring out what the teen wants to do. I know… I know… this one will never happen. 4. Watching the Cooking Channel. I like to live vicariously through all my favorite stars who get to eat sinful treats while I’m on a diet. 5. Channel surfing. Because eventually there will be something on the Cooking Channel that I don’t like. 6. Stalking Checking out all the great Tweets from everyone at BlogHer. 7. Same as above but on Instagram. 8. I may look at that Pinterest thing… it’s possible that it hasn’t been inundated with everything BlogHer related. 9. Go for a walk. Sounds lame doesn’t it…. try it with a toddler and it’s much more interesting. Want double the fun? Add in a teen! 10. Pout & whine. Why… because I’m home and not at BlogHer. On the plus side I don’t have to get dressed up, put makeup on, do my hair, or anything like that! I can laze around in my pj’s all day and eventually shower during nap time and then just throw on something halfway decent looking. What about you? Are you living it up at BlogHer or are you at home like me? Lately I’ve been thinking more and more about my writing and how to improve it and it’s something that I’m sure a lot of other bloggers have pondered once in a while too. Right? There are so many ways that you can make small steps to improve your writing and grow as a person. 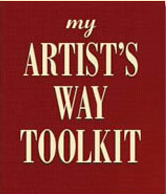 One of the ways that I’ve found is by using Julia Cameron’s The Artist’s Way Toolkit. The toolkit is full of ways to awaken or re-awaken your creativity and commit to doing something daily. Here’s an excerpt from the help section that I think really explains the exercises better than I could ever paraphrase. The Artist’s Way is an experiential path. We awaken our creativity through using it, not through theory. Through the simple building blocks that are the exercises in this section of the Toolkit, you will learn to heal old wounds and move toward new horizons. You will examine and discard damaging mythology and painful personal experiences in the arts. An exercise at a time—one for each week of the year—you will learn how to construct a new and more positive life built on greater optimism and resiliency. You will not learn to be fearless, but you will learn to create despite your fears. I’ll admit that I haven’t been very good at completing the daily exercises or the morning writing. Why? Well, morning writing is hard when you’re trying to get out the door in a reasonable amount of time in order to get to work and even more so when you have a toddler who has to be right there with you all the time you’re getting ready. I love the idea of morning writing though. Three full pages of longhand writing (Yes, there are reasons for doing it this way) that is totally off the top of your head, stream of consciousness type writing. It is definitely a challenge but it’s a great way to clear your head and work through whatever is on your mind…. maybe you work through issues, use it to de-stress, maybe it’s a way of brainstorming some of the strangest ideas you’ve ever had or possibly it’s just a list of everything that you need to accomplish that day. Julia Cameron is an award-winning poet, playwright, and filmmaker, and has written thirty books and you can connect with her on Facebook or on Twitter. Recently, I read Where She Went by Gayle Forman and I have to say that I read it all in one day. I can’t remember the last time I did that! But once in a while there is a story that grabs you and pulls you in so fully that you simply cannot put the book down. You just read and read until you finally find yourself at the end of the book… and well past your bedtime. Where She Went is one of those books. The story is the much anticipated sequel to If I Stay, Adam and Mia’s love story. But this time the story is told from Adam’s point of view. The story follows his journey in a series of flashbacks with Mia and without, his struggle with his band, and who they are. Most importantly the anger that Adam is dealing with over Mia’s quick dismissal of him while she was away at college. It was by chance that the two of them met up again and finally had the conversations that they never had. This is a story of love lost and found. One that will have you smiling one moment and in tears another. 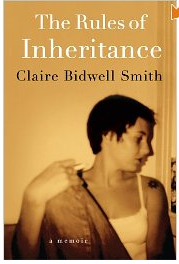 One that you simply won’t be able to put down once you start it. If you would like to join the conversation over at BlogHer we’d love to have you! You can follow the author, Gayle Forman on Twitter, on Facebook, or on her blog.